Strabo in his Geography (17 1.54) talks about the “one eyed Kandake” who fought the Romans. Between 30 BC and 22 BC the Romans and Meroites were at war. 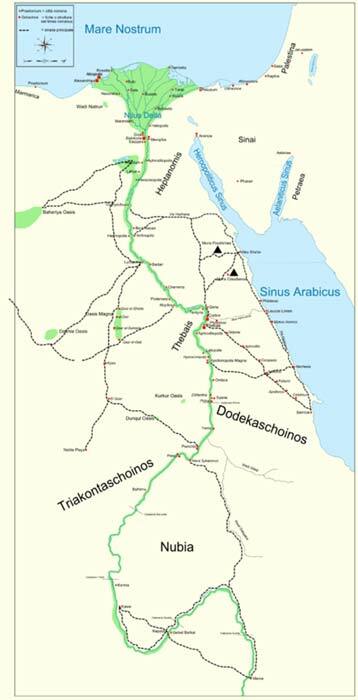 Meroitic-Kush never became part of the Roman empire – although the Romans tried to make it part of the empire. Augustus (31 BC-14 AD), when he defeated Mark Antony and Cleopatra, got control of Egypt. He made it a Roman province, governed by an equestrian prefect under his own control. Kush – just to Egypt’s south – was outside the empire. C. Cornelius Gallus was the perfect of Egypt, and was responsible for subduing Philae and the Triacontaschoinos (or the ‘Thirty Mile Land’ going south from Philae) and returning it to Roman rule in 29BC. In 24 BC Roman forces were sent to fight in Arabia. According to Pliny and Strabo the Meroite-Kushites sacked Aswan and destroyed the Roman statues at Philae. In response to the Kushite expedition, Gaius Petronius, with a force of 10,000 infantry and 800 horses pushed the Kushites back to Pselchis. Strabo (17.1.53) mentions the fact that the Meroites were led by a Candace and her son Akinidad. It has usually been considered that Kandake Amanirenas was Greek geographer Strabo's "Candace". 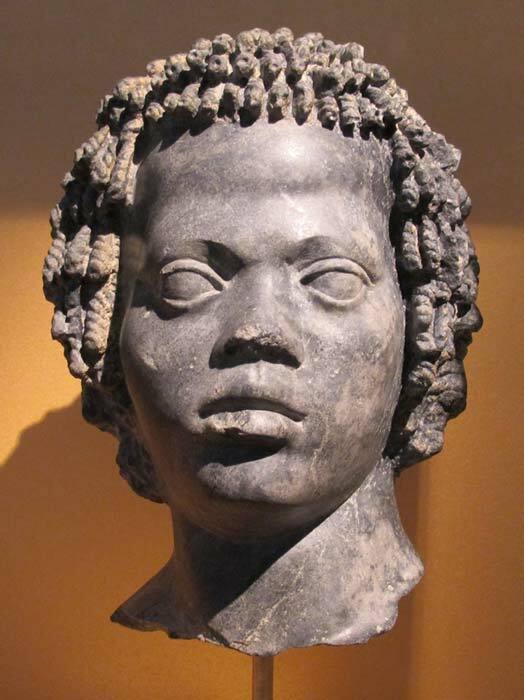 The Candace, or Kandake, was the title for Queen in the Kingdom of Kush, a Meroitic word for ‘queen’ or ‘queen-mother’. During battle, the Candace lost an eye; but this only made her more courageous; "One Eyed Candace," as then Roman governor Gaius Petronius referred to her. The Romans and Kushites, according to Strabo, began peace negotiations at Dakka in 24 BC. The negotiations failed, and the Romans pushed their forces deeper into Meroitic-Kushite territory as far as Sara. They also established forts at Qasr . Akinidad was probably killed in 24 BC. Strabo (17.1.54) mentions that the Candace's son was killed during this campaign. This son of the Candance was probably Akinidad. We know that Akinidad was in Dakka on two occasions, once with Teriteqas, and later only with Amanirenas. In Dakka 2, we discover that Akinidad died at Dakka. This is most interesting because, the Romans pushed the Meroites back to Dakka in 24 B.C. If Akinidad had been wounded outside Dakka, Amanirenas may have stopped in the town to obtain medical treatment for her son. After Akinidad died in the town, Amanirenas may have withdrawn from peace talks and continued the War. Researchers usually refer to Qasr Ibrim 1420 as the stela of Amanishaketo and Akinidad stela. But our examination of a photograph of Qasr Ibrim 1420 indicate that Amanishaketo is not mentioned on this stela. Qasr Ibrim 1420 is a fairly large stela. This stela was broken and deliberately disfigured. The top of the stela is broken but a pair of wings were engraved in this area as evidenced by the tips of each wing remaining visible on Qasr Ibrim 1420 today. Qasr Ibrim 1420 has a long inscription. Presently we find 37 lines of cursive Meroitic script on this stela. There were probably additional lines on this stela, because the stela is broken below line 37. This stela indicates that Akinidad died while he was a prince. I can not publish a translation of the entire document but it appears that Qasr 1420 was a funerary stela. 1." He goes to prepare the renewal (and) protection of the abstract personality. Protect the prestige of the prince as is the tradition (and) vouchsafe the soul and honorable offering." 2. Produce revitalization of the Ba to leave a grand legacy (is) obligatory...vouchsafe and guide his abstract personality, may it go forth to praise his spirit. 3. The grand patron praises the Chief. Aman opens the shinning translucent spirit for rebirth. (There) will be eternal honor indeed for the prince. 4. "The good embarkation of Akinidad (to Paradise) to will grant the patron a boon, (and) bring (him) eternal good". These few quotes from Qasr Ibrim 1420 indicate that at the time this document was written Akinidad was recognized as both Chief and Prince. In this passage the Meroitic term ‘wl’ was used to designate Akinidad as a prince, instead of king. The term wl 'prince', was probably reserved for Meroite princes that held administrative responsibilities. In addition, engraved on the Qasr Ibrim 1420 stela we also find use of wl to denote a prince in the inscriptions associated with the personage Arayesabkheqo, interned in pyramid N.36. Qasr Ibrim 1420 is the only textual evidence where Akinidad is referred to as w-ne 'Chief'. 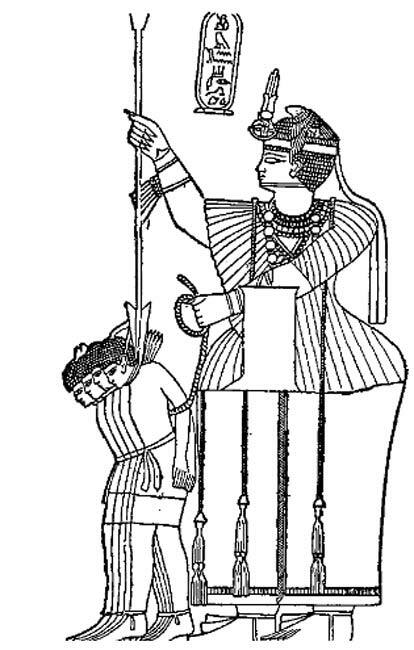 This suggests that at the time Akinidad died he was recognized as the leader of government at Qasr Ibrim. This would have been an important post for Akinidad, given the strategic location of Qasr Ibrim as a major center of culture, commerce and trade . To understand the destruction of Qasr Ibrim 1420, we must remember some of the events associated with the Meroitic-Roman War. 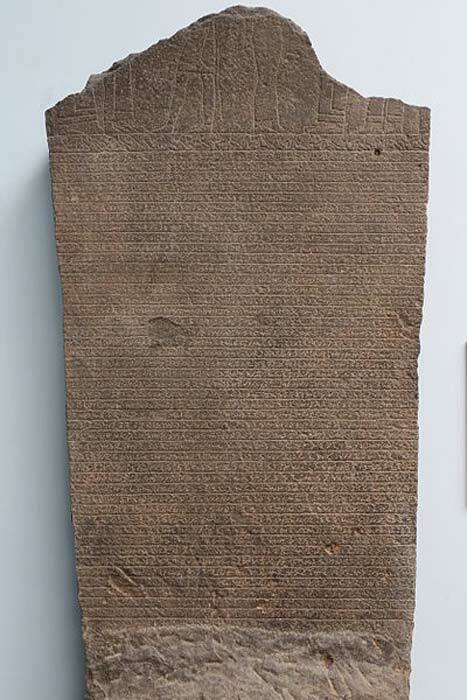 Amanirenas probably had the Qasr Ibrim 1420 stela erected in Qasr Ibrim, to honor Akinidad who had served as the Chief of the city during the Meroitic-Roman War. The Qasr Ibrim 1420 stela was probably defaced and broken during the Roman occupation of Qasr Ibrim to show their contempt for the Meroites. The Meroites resisted Roman occupation. By 22 BC the Meroites had retaken Qasr Ibrim from the Romans. In 21 BC a peace treaty was concluded between Augustus and Meroite envoys on the Island of Samos. The textual evidence makes it clear that Akinidad remained a paqar (prince) until his death at Dakka in 24 BC. The evidence of the Dakka 2 inscription and Hamadab 2 indicate that Akinidad probably died during Amanirenas’ rule of Merotic-Kush. After Teriteqas was killed during the Meroitic-Roman War, Akinidad may have become recognized as King, but without official succession, and with his untimely death at Dakka, he remained officially Crown Prince. This would explain our inability to find any evidence of Akinidad being recognized as anything more than a paqar, rather than a qore (king). Török, L. (1997): The Kingdom of Kush. Handbook of the Napatan-Meroitic Civilization. Leyde: E.J. Brill. Coll. Handbook of Oriental Studies I. The Near and Middle East. Welsby, D.(1996). The Kingdom of Kush. London: The British Museum Press. Winters, Clyde. (2014). The Kushite Prince Akinidad: And the Roman-Kushite War. Createspace. Read more about A King’s Seal? Was Pharaoh Apophis Originally King of the Mythical Kushites? Read more about Where Was the Mysterious Kingdom of Yam?